Samsung is all set to unveil its latest flagship smartphones technology at an event on Sunday just a day before the MWC 2018 starts. The design and specs of the upcoming Galaxy S9 and Galaxy S9+ have already been revealed in several leaks. Now, a new leak that emerged online has revealed the prices of these smartphones and it looks like Samsung Galaxy S9 series could be on a pricey side. 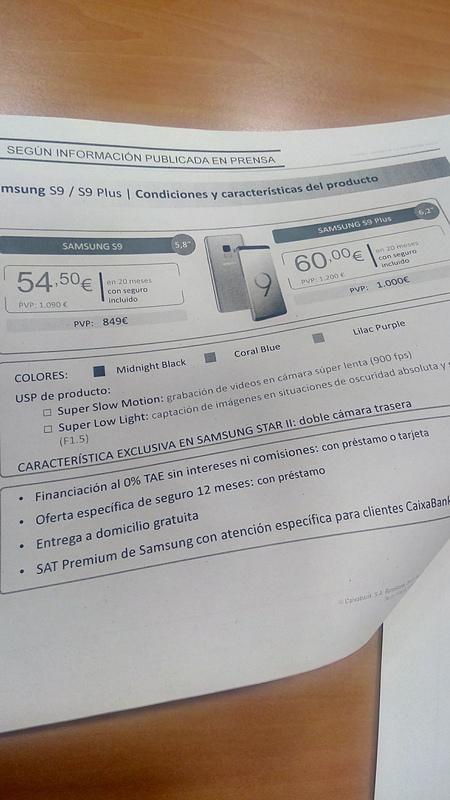 A photo posted by a user on Imgur shows a leaflet of some local bank in Spain and it allegedly reveals the prices of Samsung Galaxy S9 and S9+. So, as per this Galaxy S9 price will be EUR 849 (Rs. 67,100 approx.) while the Galaxy S9+ will cost EUR 1,000 (Rs. 79,600 approx.). Interestingly, this latest leak is in-line with the pricing that leakster Evan Blass had predicted earlier this week. As per Evan Blass, the Galaxy S9 will come with a price tag of EUR 841 (Rs. 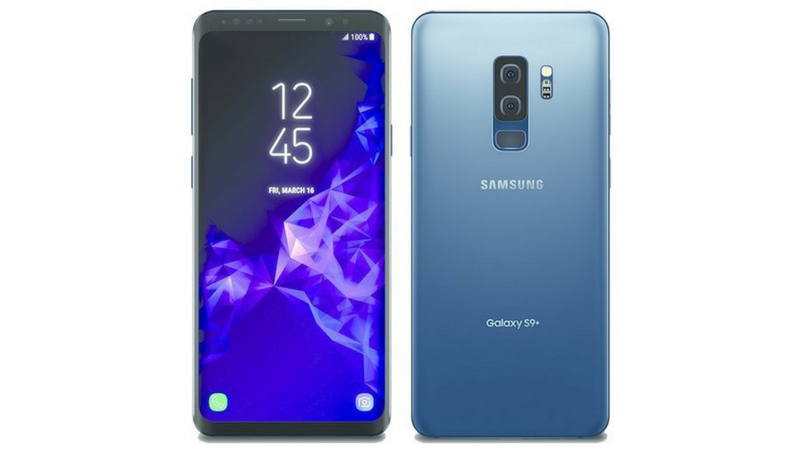 67,700) and the Galaxy S9+ would be priced at EUR 997 (Rs. 79,500 approx.) in European markets. Though the prices do not exactly match, the difference could be due to the fact that prices vary from country to country. Apart from the pricing, the availability of the two upcoming Samsung phones has also been speculated in the coming weeks after the launch. Some reports claim that Galaxy S9 pre-orders will start right after the launch event on February 25. So, we can expect the Galaxy S9 series to hit the market by the second week of March. The Galaxy S9 availability in India hasn’t yet confirmed, however, Flipkart has already listed a product page for the phones. Since earlier leaks have revealed everything about the specs of upcoming Samsung flagships, let’s refresh them. According to the leaks, the Galaxy S9 and S9 Plus will come with Quad HD+ Infinity displays with 5.7 and 6.2-inches sizes. The Galaxy S9+ will feature dual camera setup on the back, while Galaxy S9 will come with a single camera. The smartphones will be powered by the Qualcomm Snapdragon 845 processor or Exynos 9810 depending on the markets. The Galaxy S9 will pack 4GB RAM and 64GB internal storage, while the Galaxy S9+ will sport 6GB RAM with 64GB internal storage. The two phones will run Android 8.0 Oreo with the Samsung Experience UI 9.0. The smartphones will be showcased at the event in Barcelona on Sunday. Stay tuned with us to know the latest updates on MWC 2018.